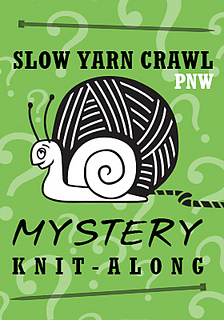 Welcome designer Paula Berman to the Slow Yarn Crawl family! Winemakers use the term ‘terroir’ to express how the terrain, microclimate and soil in a location shape its wines. Like our world-class wines, this cowl is designed to evoke the forests and terrain of the Pacific NW. This fabulous cowl by Paula is fun and a bit of a challenge to knit. With centered double increases, centered double decreases, knit through the back loop, and “appearing stitches” this cowl will definitely keep your interest, while still being a relatively quick knit. To alter the size: Adjust your gauge to increase or decrease the size of the cowl as needed, add an extra repeat of the pattern or knit extra rounds of the ribbing at the beginning or end of the cowl.